Sponsor a Faculty Ensemble in Residence! AFA proudly includes some of the finest performers from throughout the United States on its faculty roster. 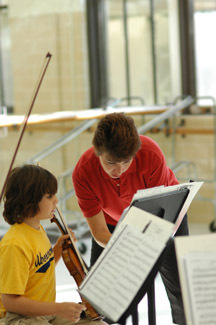 Recent and current faculty include Samuel Adler (Eastman School), Robert Ward (Pulitzer Prize), Michael Morgan (California Symphony), Barbara Scowcroft (Utah Youth Symphony), Tonu Kalam (UNC Chapel Hill), Kenneth Fulton (LSU), Teresa Coffman (Rhode Island College), David Kirk, Joan DerHovsepian and Rodica Weber (Houston Symphony), the Ying Quartet (Eastman School), The Enso String Quartet (Rice University), the Cappelletti-Chao duo, Brent Samuel (Los Angeles Philharmonic) and the Meliora Winds (Concert Artist Guild Winners). 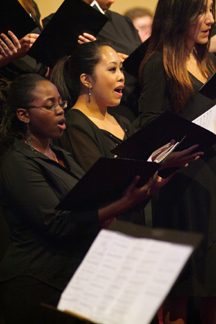 In 2007, three faculty ensembles will be in residence at AFA. Corporate sponsors will have their name and logo featured with all faculty ensemble activities and perform-ances and will be prominently featured in all publicity and media announcements for the 2005 Conservatory. 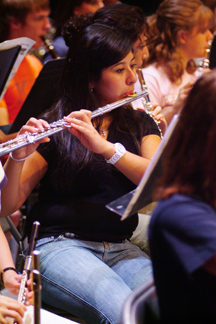 Faculty Ensembles for 2005 available for $2500 sponsorship include the AFA Winds, the AFA Brass and the Brazos Strings.